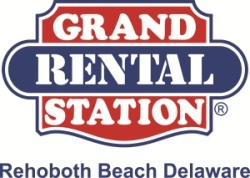 Find a Great Vacation Rental on one of Delaware's Spectacular Beaches!! We will be adding new listings every day so if you aren’t finding what you are looking for call or email our Rehoboth/Dewey office at 800-345-3469 - Rentals@jacklingo.com, or our Lewes office at 800-331-4241 -LEWESRENTALS@jacklingo.com, to connect with one of our qualified rental associates. Booking on line is easy! Off season rentals are available with a 2-3 night minimum. Ask about our new linen program! Jack Lingo is LOCAL and available to you 24/7 during your rental stay! No worries about dealing with an Owner that is not in the area to handle your needs during your precious vacation time. We do not charge a "service fee" it is FREE no matter how small or large your request might be! Discover the true scenic beauty of the Delaware beaches and resorts including Rehoboth Beach, Dewey Beach and Lewes, Delaware. Enjoy quaint attractions and first class amenities like tennis, golfing, shopping and dining. With three convenient rental offices to serve you, Jack Lingo offers the largest selection of rental homes on the Eastern Shore. Luxury oceanfront estates, classic beach cottages and cozy condos, we have the perfect vacation rental for every budget. We also now feature our Pet Friendly listings so you can bring the whole family with you! We love the beaches of Southern Delaware and it is a pleasure to welcome you to our home. Search Seasonal for properties that are available to rent to the same person. The Rental Department of Jack Lingo, Inc. – REALTOR would like you to consider “Listing with Lingo.” Our Rental Department offers many services that can make a difference in the successful and hassle free renting of your property to our summer visitors. Full color brochure mailed to a large clientele base as well as our virtual brochure online. Convenient downtown Rehoboth Ave location with high exposure – RENTERS SEE US FIRST!! Office hours – 7 days a week. 24 Hour emergency service – 365 days a year! Online booking available – so now we are open 24 hours a day!! We know that renting your property to responsible tenants is your primary concern. It’s OURS TOO! Please call us, no obligation, to see if we can help meet your needs. We feel our service and communication efforts are superior to our competitors and that your next move should be to "List with Lingo". It is that time of year again when people are planning their vacations and looking into rental properties at the beach. This is also the time of the year that scammers are placing false listings online to take advantage of the vacationers. It is very difficult to prosecute these types of cases as most of the scammers are located out of state and on some occasions out of the United States. The City of Rehoboth Beach Police Department provided these 10 Tips to Avoid Rental Property Scams to help prevent you from falling victim to scammers. Fill out this form below and we will send you our rental packet so that we can get started! Please login to our Owner Net section to manage your rental property. Want to become a local? 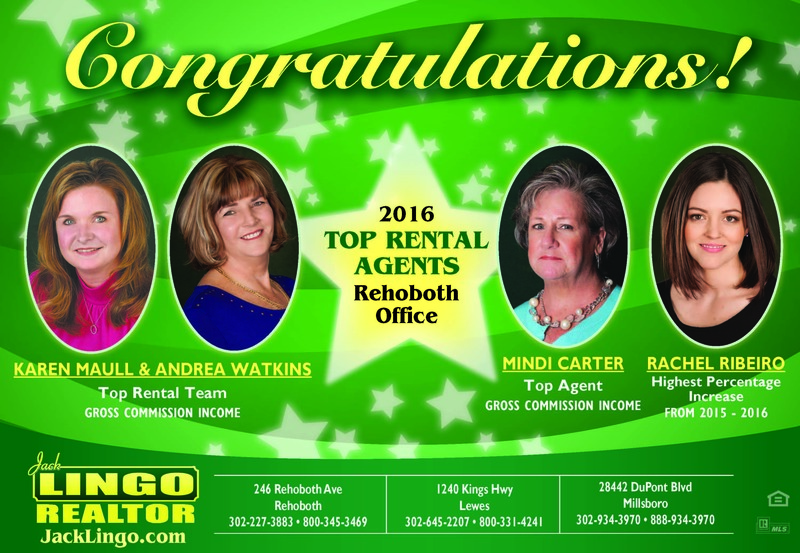 Let one of our friendly agents help you with a Jack Lingo Year Round Rental. Browse our year round rental properties. Get your rental booked for the endless summer! Traditionally a Seasonal Rental is from the Friday before Memorial Day, until the Tuesday after Labor day. Browse our seasonal rental properties. You mean it didn't fit in the car? You left it at home? Don't panic, click here for help!